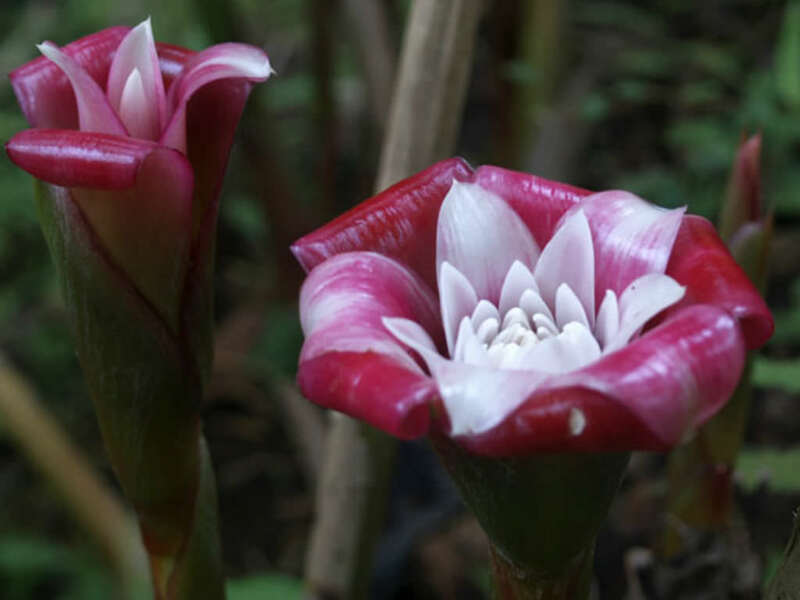 Etlingera venusta is sometimes called, the world’s most beautiful Ginger. 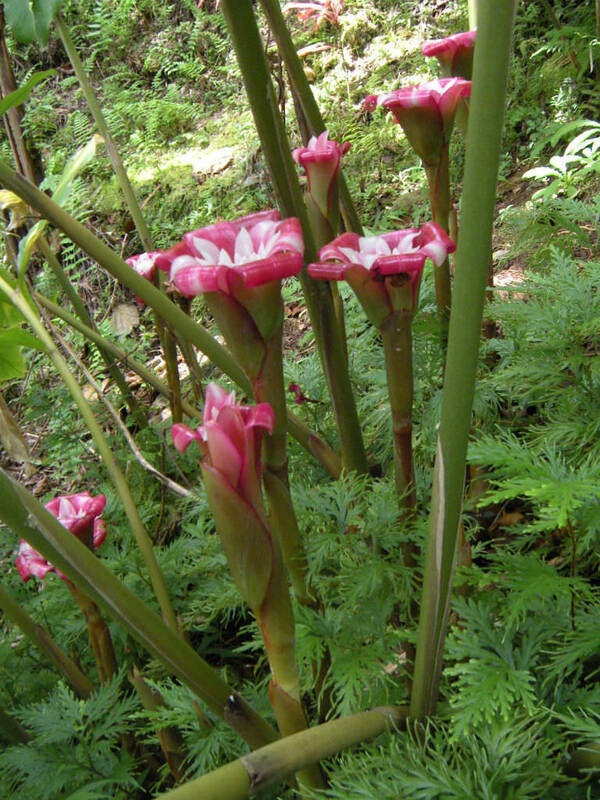 Its cerise shaped overlapping bracts create a rose shaped flowered inflorescence. 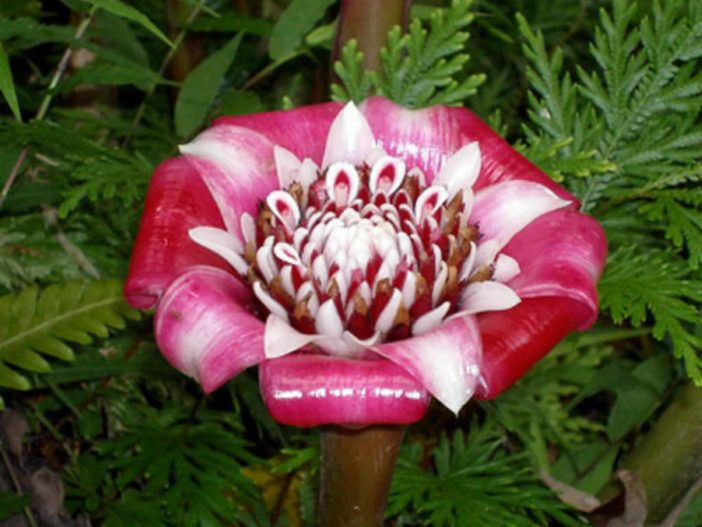 It has a lovely porcelain pink and white basal inflorescences up to 2 feet (60 cm) tall. 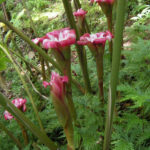 The pink and white “petals” are actually bracts, which later reveal small true flowers inside. 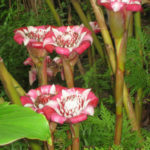 Exotic blooms are long lasting and like other Gingers, it provides a beautiful tropical look. Blooms from January to May. 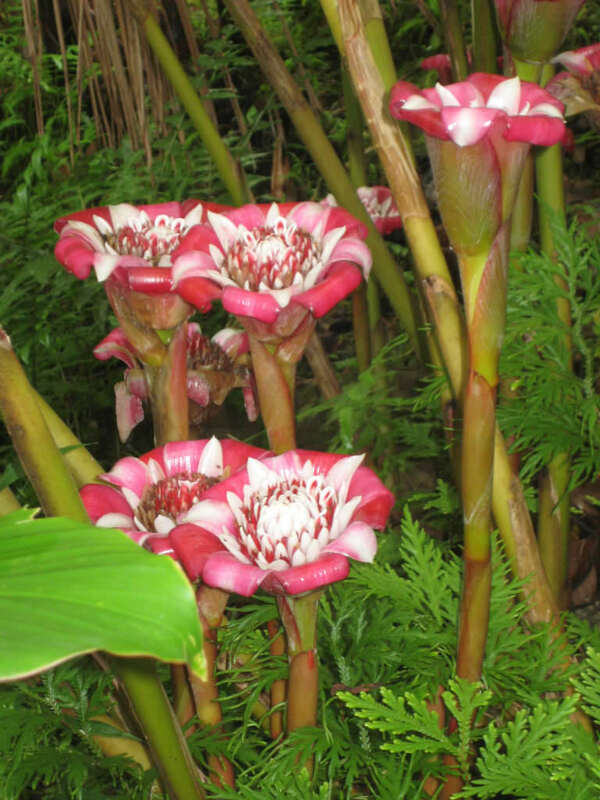 Growing Torch Ginger is possible in a range of soil types. A major problem when growing Torch Ginger plants is potassium deficiency. 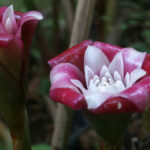 Potassium is necessary for the correct uptake of water, which is necessary for the optimum growth of this large plant. Add potassium to the soil before growing Torch Gingers by working it into unplanted beds to about a foot (30 cm) deep. Organic means of adding potassium include the use of greensand, kelp or granite meal. Test the soil.